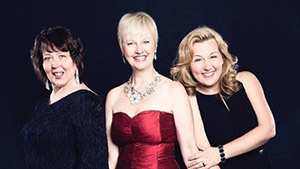 A trio of acclaimed Chicago cabaret artists will share songs and stories of three powerhouse female singer/songwriters when the Oak Park Festival Theatre presents Girls Like Us, 3 p.m. Feb. 17 at Dominican University in River Forest. Laura Freeman, Beckie Menzie and Marianne Murphy Orland, the members of Girls Like Us, will celebrate the music of Carole King, Carly Simon, and Joni Mitchell at the benefit for the Oak Park Festival Theatre. More information here.